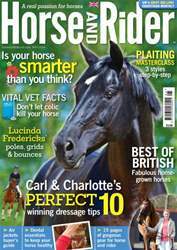 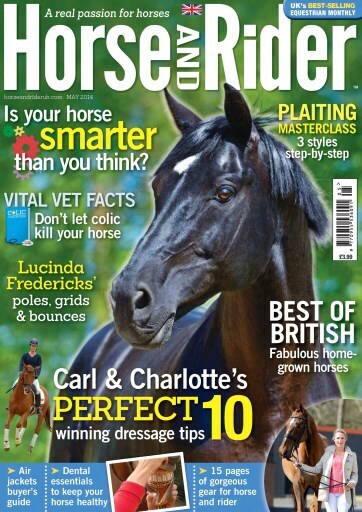 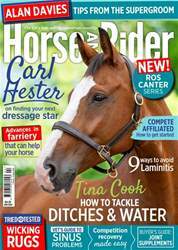 Carl and Charlotte's best-ever dressage tips, Lucinda Fredericks' compete with confidence plan, encourage your horse to be lighter in the mouth and find out how horse's learn. 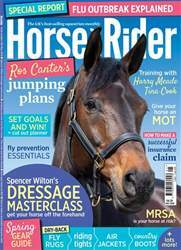 Discover the best of British horses, learn how to plait everything, feed your show horses into tip-top condition and repair your flood damaged land. 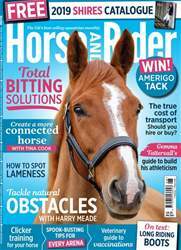 Get the latest look ready for the season with the Spring/Summer gear guide.